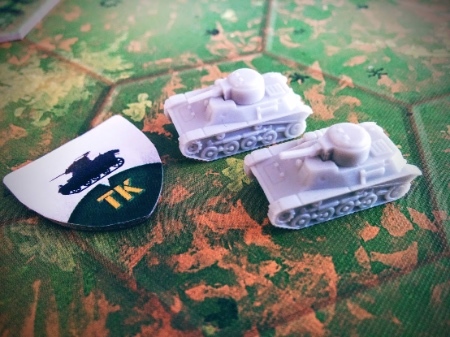 The Battles of Khalkhin-Gol is designed for 2 to 8 players. Each oversized map is ready-to-play with all terrain, obstacles, and unit positions pre-printed so players can simply add the figures and play. 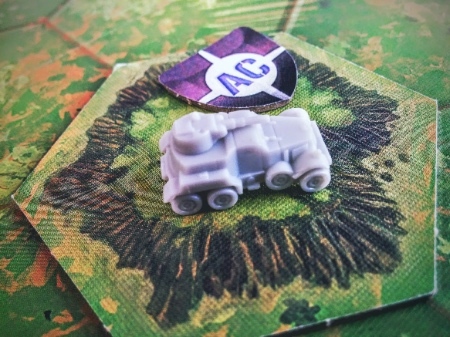 The various scenarios of the expansion require one copy of Memoir ’44 (two for the Overlord scenarios), as well as the Terrain Pack, Eastern Front and Pacific Theater expansions. The Equipment Pack and Winter Wars expansions are also recommended. The Battles of Khalkhin-Gol is currently expected to be available in December in both North America and Europe for a retail price of $28/€25. 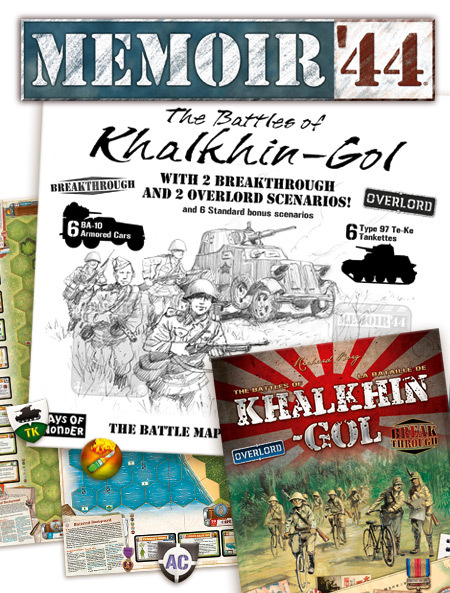 To download the rules, you can visit The Battles of Khalkhin-Gol page on Memoir ’44 website. This entry was posted on Thursday, September 29th, 2016 at 14:13 and is filed under Games, Memoir'44, News. You can follow any responses to this entry through the RSS 2.0 feed. Both comments and pings are currently closed.